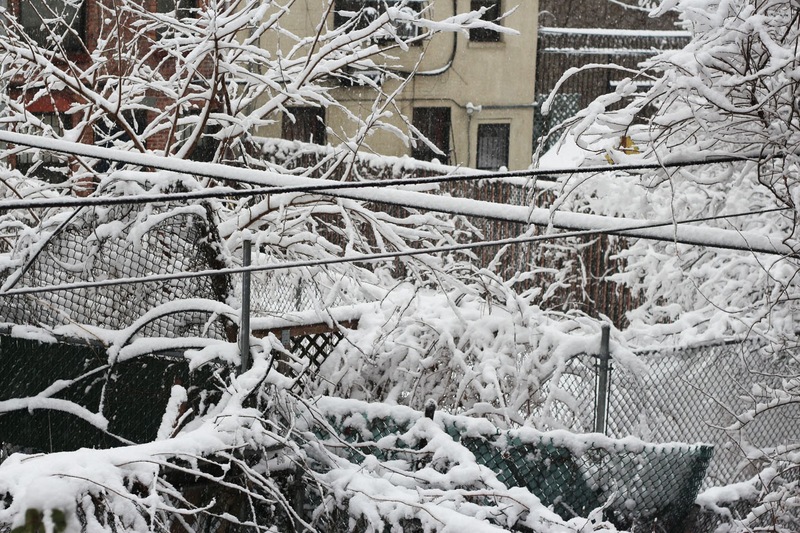 The wires and branches that crisis cross the backyards behind our building are frosted. When one looks back at our building, from the terrace (the view one will have when sitting out there) it's very flat. I am eyeing a website that sells slim birch poles. Birch poles will save the day. You'll see. ...when the snow melts, of course. 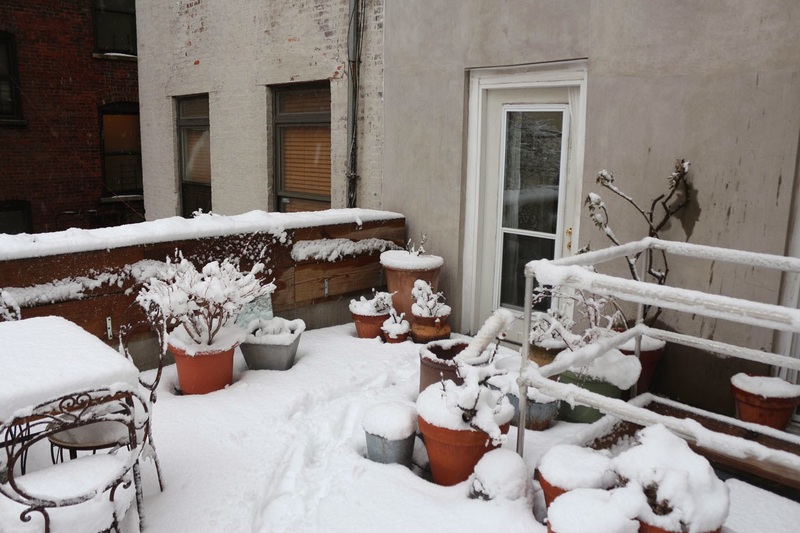 A suggestion,for a more private terrace using those wood flowerbeds: a construction that will make it possible to use fabric which you can close or have open (curtains of sort), might function well until the flowers are more grown. I love the snow too. 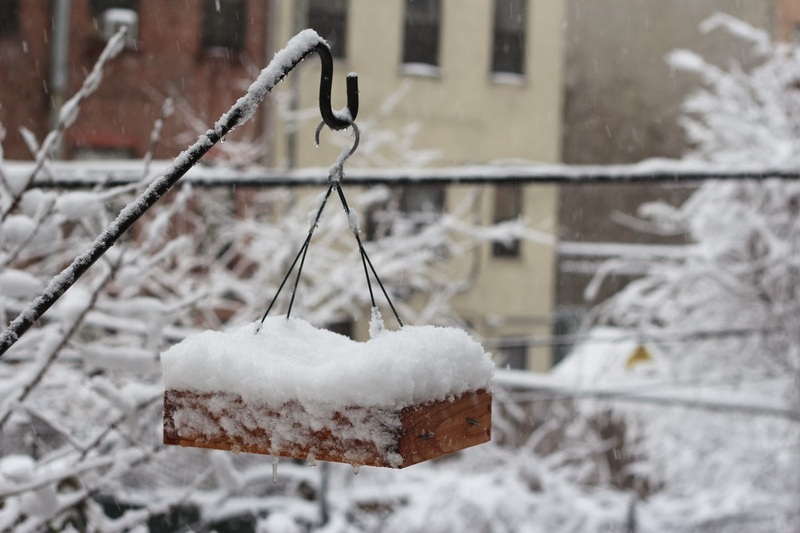 Everyone thinks I'm nuts, but I love how the snow covers up the winter's much mess and muffles the sound. It's like you're in your own little world. Maybe I should do a house-swap, cos I love snow,too.Of course, I've never had to drive in snow!